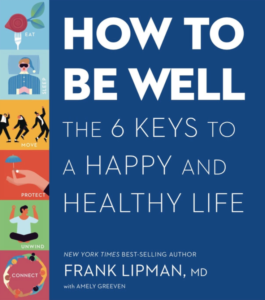 With How to Be Well: The 6 Keys to a Happy and Healthy Life, Frank Lipman, M.D., offers a choose-your-own-adventure pathway to better health. 1. 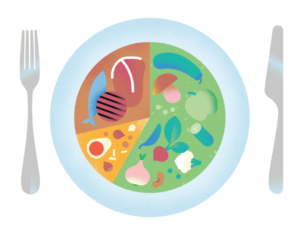 EAT: Switch from industrial eating to intimate eating by asking where your food comes from and what happens on the journey from field to fork. Get up close and personal with it every day, preparing meals hands-on whenever possible. 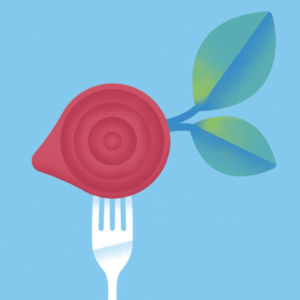 HABIT: GET YOUR VEG TO 70 PERCENT. Make a layer of greens or mixed vegetables the foundation of every plate—including eggs or other proteins for breakfast. 2. SLEEP: Don’t paper over the cracks of sleep problems. When sleep goes awry, it’s often a clue that something in your lifestyle is off, or that something deeper in your health needs adjusting. HABIT: RESTORE YOUR BODY’S ANCESTRAL CONNECTION TO DARK. Create an electronic sundown by turning devices off two hours before bed, and use amber-toned bulbs in your bedroom. The longer-wavelength red light mimics the light of sunset and, as a result, cues your master clock to trigger sleep. 3. MOVE: We live in a highly “mobile” culture, but actual movement has been downgraded. Focus on getting more movement into your life. HABIT: SHIFT THE WAY YOU WORK. Make phone calls on the move, and take meetings out of the boardroom (or coffee shop) and into the outdoors. 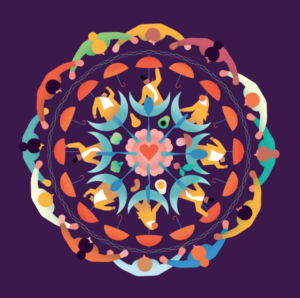 Creativity and collaboration can flow better when the body is in motion. 4. PROTECT: Chronic exposure to low-dose chemicals almost certainly plays a role in the development of autoimmune diseases, cancer, neurological diseases, fertility issues, ADHD, allergies and more—and their slow buildup can be the reason for all kinds of nagging symptoms that we write off as the fatigue of modern life or inevitable effects of aging. HABIT: REPLACE CLEANERS WITH FAILING GRADES. When each bottle or pack of soap, detergent, spray, polish, or scrub runs out, take a minute to look at its rating on EWG’s Guide to Healthy Cleaning (ewg.org/guides/cleaners). If the rating is C or below, use the guide to source a safer alternative. 5. UNWIND: Meditation, mindfulness, breathwork and soothing touch are not luxurious extras—they are daily essentials for managing imbalance and maintaining the body’s healing power. HABIT: CLEAR YOUR MIND, CLEAR YOUR SPACE. If your home or workplace is cluttered and chaotic, there’s a good chance that your head is, too. Place decorative baskets (with lids!) in each room in the house. Use them to temporarily hold yet-to-be folded laundry, toys, magazines and other bits and pieces awaiting proper organization. 6. CONNECT: Connection and intimacy are crucial to good health. Bonded relationships, a sense of purpose, and a feeling of belonging to the natural world are as influential as anything you can measure or test in a lab. HABIT: GET YOUR GREEN ON. Get on a trail with community groups like hikeitbaby.org (which encourages families to access nature), or participate in a healing “forest bathing” session through guides at natureandforesttherapy.org.